Leave it up to The Empty Threats to fully embrace a cataclysmic sonic earthquake. The Adelaide four-piece declare a pretence of maligned, experimental rock and visceral psych embellishments. ‘Magnolia’ represents the struggle of keeping a positive mind set in an ever-disintegrating world. A subtle and beautiful flower that has survived for a thousand millenia only to find a point of destruction in the 21st century due to human existence. Salibu Macey is a three-piece mobile booty shaking service that concerns itself with the welfare of ankles, knees and hips of those inspired by indie-rock across the Adelaide metro area. Salibu Macey are masters at restraint and release. 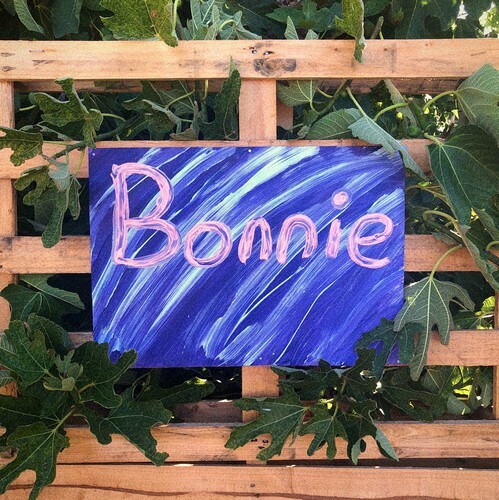 'Bonnie' could be indie-rock's most ferocious and slackadaisically tuneful tracks to arrive from the South Australian capital. The group's reconciliation of interwinding guitars and parallel rock elements pays homage to their musical alchemy at work. 'Bonnie' is more or less a reunion of antiquated indie-rock tropes at their most refined demonstrative. From supporting superstars like Robbie Williams, Foreigner and Cheap Trick to celebrating the release of their infectious short-play album, Pollen, the music continues to deliver with finesse and new motifs. 'Used To Be' is the first single from Adelaide's Neon Tetra following on from their 2018 EP, "Pollen". It's a frivolous and exuberant piece of rock, pop and soul that broadens the group's horizons. YT DiNGO is the personification of blood, sweat and tears. This music and dance project, spawned from the mind of Travers Ross, encapsulates sounds and movement in its rawest form. 'Thrill of the Chase' is directed and edited by ARIA Award-winning videographer Claudia Sangiorgi Dalimore (Her Sound, Her Story). Both musically and visually, the piece shows a deep love for Aboriginal cultural with three stunning Indigenous actors / dancers set in the Gumbaynggirr outback. Hailing from Adelaide, South Australia, exhilarating three piece Donnarumma maintain a lofty rock attitude with angelic vocals, roaring bass and rumbling drums. 'Rollercoaster' is the most adrenalised track Donnarumma have done yet. It's proud, punchy and spares no backlash. It's a potent echo boom with the group dumping mulch and gravel of their florid rock. After the opening, the song unravels into a salvo of hook-filled, reverberating guitars and wailing rock operatics. This hard-hitting track turns the listener into a gelatinous ooze. DROVES’ futuristic look at New Wave Punk has drawn comparisons to early New Order, The Eurythmics and The Cure. 'Time' is DROVES' most stark remark to their stylistic and impressionist darkwave. The group's synthetic incarnation of pop, rock and synth precursors all ceremonially melt into one another in an undeniably visceral manner. They hold the tenacious excitement of punk that's sequenced through a greyscale disco ball. With the arrival of Australian summer, Melbourne based tropicalypsodisco producer Feather Touch is back with vivid new single, ‘Need You'. Taking cues from RUFUS DU SOL, The Presets and MUTO, 'Need You' merges clubby kicks with a thick, driving bass amongst the disco riffs and expansive keys. The song is built from the unmistakable co-production and mixing of Haxx (Kult Kyss, Yeo, King IV). Featuring instrumental performances from the artist himself, 'Need You' marries future-pop with a club-friendly beat. Jack And The Kids are a four-piece outfit writing music centered on emotive & contemplative context. Blending rock, indie/pop, the Bendigo band couple enticing rhythms and ambience with soaring guitars. 'Television Hero' focusses on the svelte guitar interplay of cascading and glistening electricity. The band weave together a tangram of kinship and musical prowess, highlighting their years together as a band. Trading visionaries and adding weight to the already off-centre balancing act of progressive indie-rock, 'Television Hero' is an enticing, transpiring journey of winding atmospherics. From humble beginnings as a solo moniker, to a now more audacious and conscious project, Blaire, from the Gold Coast, takes shoegaze to fretful, punk-washed new grounds. 'Smiling' isn't so much a reformation from what we heard earlier in the year, so much as a distillation in both sound and texture. It's relentless but manages pathos anyway and a sense of unrest. It takes the best parts of shoegaze and makes them even more abundant and central. Machine Club is the culmination of blood, sweat and tears. Imposing a stratagem of music diversification, Machine Club is music you can dance to with a razor sharp edge. 'Wise Up' is maximalist electronica—it doesn't stay complacent in its greater musical context. Deep, mesmerising dance beats and synth arpeggiations underpin a raw, niche passion from the artist. It's music to dance to with thought woven into its lyrics—music of this moniker has never sounded so real and foreboding. YT DiNGO is the personification of blood, sweat and tears. This music and dance hybrid project, spawned from Travers Ross, encapsulates sounds, movement and feeling in its rawest form. YT DiNGO is as much a visual project as it is audio. The video for 'Shipwrecked' was directed by Melbournite Claudia Sangiorgi Delimore. It pairs YT DiNGO's raw emotional transgression from their music to a carefully crafted and beautifully shot moving art piece. 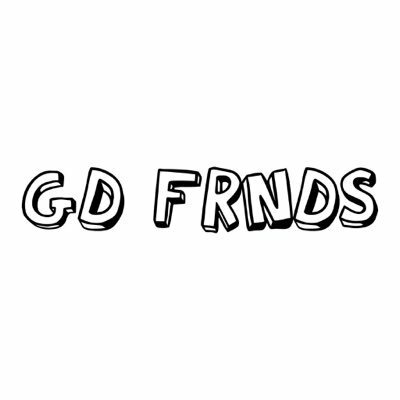 Blaire takes shoegaze to fretful new grounds. Declaring a pretence of punk-washed ambience, Blaire, a three-piece, is a visceral and aural new experience hailing from the Gold Coast. Eschewing an explosion of isolated garage-influenced trembles, 'Youth' is simultaneously minimal and maximal. Swatted and sweltering in deepened guitar tones, Blaire's shoegaze dichotomy remains complacent amongst the budding pop sensibilities. The Darkest Magic, the lead single from DiskoDisco's debut EP introduces listeners to even more experimental synthesis from the local synthwave artist we've grown to enjoy. A journey through baseline arpeggiation, 80's lead synths and good times. Burning the midnight oil since 2014 with a impressive slew of singles, Melbourne quintet Swim Season are primed to set the world alight with their greatest, most resolute track to date. Swim Season's ability to delivery emotion through achingly beautiful and patient instrumentation allows the band's signer, James Seymour, to innately blossom a feeling of escapism. On 'Collide', Seymour ignites as the delicate music soon become high intensity—resulting in an explosion of wistful indie-rock imbalance. From his computer chair to the live stage, Slowcoaching, the solo moniker for Dean Valentino, has expanded his dream-pop vision to something far more audacious and vivid. ‘Pillars Of Salt’ explores tales of exploration and self-assessment; a minor result from becoming engulfed in documentaries about the natural world. Electric Zebra are a punk band from the Gold Coast. Since their first show in 2014, the band has toured relentlessly and released their debut studio recording, "Ambition" EP. 'I Blink' forms a distinct bond to Electric Zebra's contemporaries such as Violent Soho and British India–alt-punk craftsmen whose hearts bleed on every second of their tunes. They form a conflicting of hook-filled angst and harrowing, powerful singalongs on 'I Blink'. Formed from the attempted remains to create their own event, Klubknight came together through the passion and obscurity to defy contemporary electronic genres. Klubknight are the finest production duo to assault your senses. Having only released one video in 2016, the boys are excited to return to the dance music scene with 'BOT' and talk of a follow up single in the very near future. Prepare your dance floors. Raised in Christchurch, New Zealand and now residing on the Gold Coast, Australia, Idiio are known for their passion towards music. They strive to create emotion through music. ‘One Night’ is a calling from a higher energy that touches on a relationship that you are pouring your heart and soul into. Life in synthesis since 1982. Driving home with a heavy bassline, 'Syntax Error' is a brutal return to retro, Hollywood Hills-inspired synthwave. With a familiar sound akin to a Kurt Russell film, 'Syntax Error' will have you wearing your cut-off sleeve Santa Cruz shirt whilst preparing your uzi complimented by your soft-top Jeep.